Thailand is located very close to the equator and outside the cyclone zone of the Pacific and Indian Ocean. That’s why it is possible to sail all the year around. There are 2 main seasons, the rainy season and the dry season, also called the southwest monsoon and northeast monsoon. Seasonal winds are predictable, but if the winds change the weather can change very fast. The northeast monsoon (dry season) begins in November and ends in April. The wind speed during this time is between 5 and 20 knots (1 kn = 1.852 km/h) from northeast. The winds are stable and the temperatures are normally around 30°C. Consistently dry and sunny weather are the best sailing conditions. The Similan Islands can only be visited during the northeast monsoon. In January and February winds are usually weak. People who want to sail in this period must use the boats engine because the winds don’t provide sufficient drive. The southwest monsoon (rainy season) begins in May and takes place until October. Wind speeds are 10 until 30 knots from southwest. 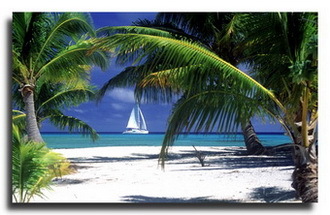 During this time there is much wind and better sailing conditions as in the dry season. There are some rain periods, sometimes persistently, but normally for 1 until 2 hours in the afternoon or in the early evening hours. The existing wind direction is important for the anchorage. During the rainy season it is not possible to anchor at the west coast of Phuket. It is recommended to anchor at the east side of islands or in protected bays. Sailing in the Phang Nga Bay right down to Koh Phi Phi is possible at strong sea conditions. The Similan Islands are closed for visitors during the southwest monsoon. In September and October long rain periods are possible and can sometimes take place up to 5 days without a break. Navigating in Thai waters needs much attention, especially when the sea charts don’t provide sufficient information. GPS and chart plotters should be used as a support only. Electronic sea charts are not as precisely as paper sea charts. Especially in shallow waters and danger spots you should trust the paper sea charts. Night sailing is forbidden in Thai and Malaysian waters. The anchorage should be reached by 4 pm in the afternoon. Daylight is between 6 am and 6 pm. We recommend to plan your trip in advance. You should think about the reduced visibility when it's getting dark. Along the west coast of Thailand you can find hundreds of fisher nets (sometimes marked with a flag at the end of the net, sometimes not). The nets are located in water depths from 20 until 100 feet (6-30 meters) and the distance from the boat to the net can be deep enough to sail over, but sometimes not. A small fisher boat is often the first sign for existing nets in the water because the nets are attached to the boat. Usually the nets are further down on the seabed to avoid the contact with boats cruising by. If you see a big trawler be careful and don’t sail too close to the stern of the ship because a net is fixed there. Sometimes nets are towed by 2 trawlers. Be careful in this situation and never sail between them. Always keep sufficient distance to danger spots. Channels are marked like in Europe. Red on port side and green on the starboard side when arriving in ports. Water, fuel and diesel can be refilled at Phuket marinas, in Chalong (south of Phuket) and at Phi Phi Island. There are 2 possibilities how to get your provisioning. First, we can do it for you. Second, you can do it by yourself. Phuket and Krabi are good locations to go shopping. There you can find big supermarkets like Big C and Lotus. Chalong (south of Phuket) is also a good place for purchasing food. At the Phang Nga Bay you can buy fresh seafood. Local fishermen offer food directly from their longtail boats. During your sailing trip you can anchor at many big islands and eat there in a restaurant. On some islands, like Phi Phi you can buy fresh fruits and vegetables. VHF is used by the marina officers or in case of emergency. 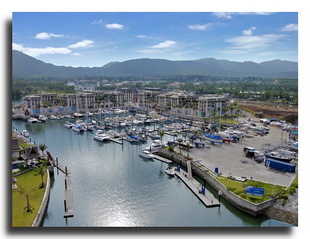 Communications with the shore and yacht charter base is only possible with cell phones. For weather forecasts please contact us by cell phone or use the Internet. If you plan to sail from Thailand to Malaysia or vice versa, you can do the customs clearance already in Phuket (Chalong bay) and in Langkawi (Kuah town). During the winter sailing season there is also an immigration office on Koh Lipe.